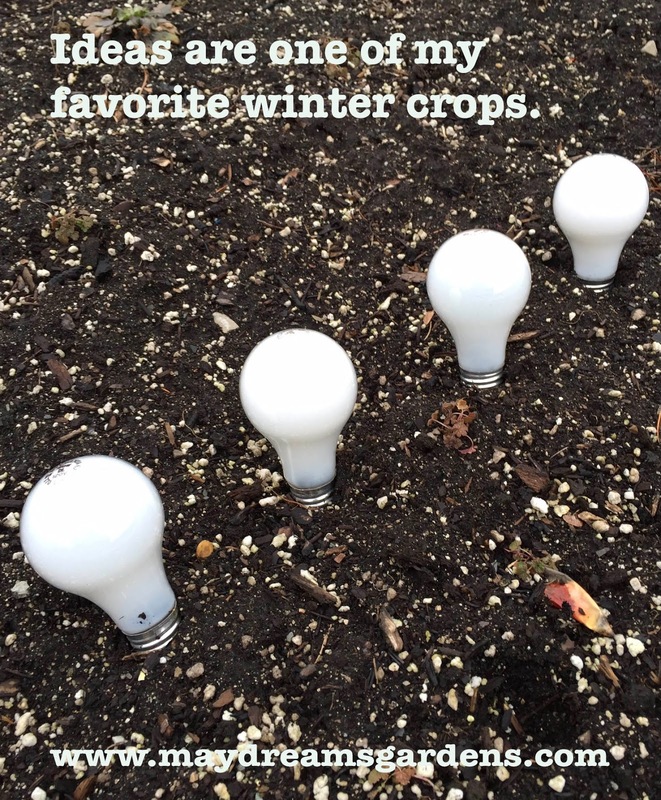 Every winter, I plant seeds for ideas to harvest and use in the garden. Ideas are pretty easy to grow. They don't seem to mind the cold temperatures. In fact, sometimes they grow best on the coldest days while I'm inside reading a good gardening book or two or three. And if it snows and I can't go anywhere? That's when I usually see a lot of growth on the ideas planted in the garden. I fertilize my ideas with liberal doses of seed catalogs. Some seed catalogs are better fertilizer than others, but all provide some value. For a big boost, I'll super charge the ideas growing in my garden by going to a gardening program and listening to others talk about gardening and plants. It never fails. I've come home from some of those programs to find gigantic ideas growing in the garden. When the ideas in my garden start to reach full size, I encourage them to multiply and sow themselves about. 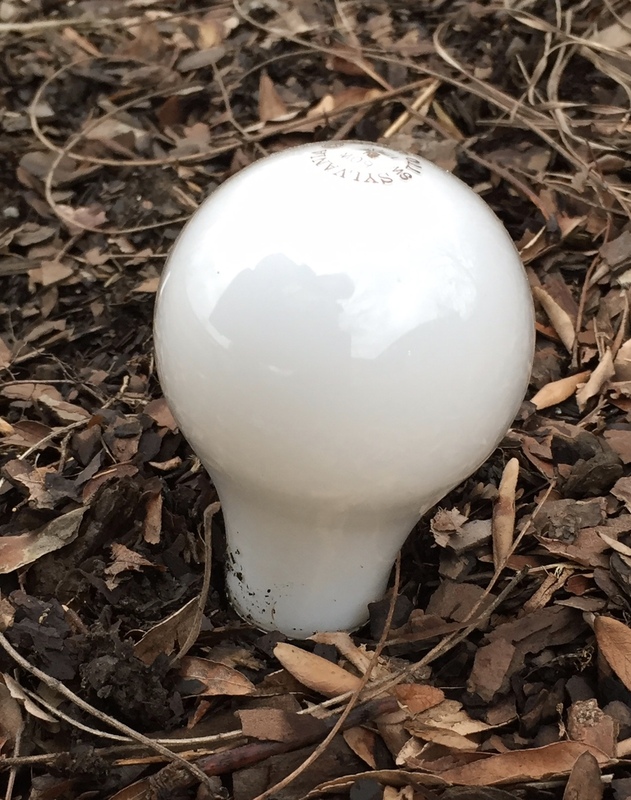 After all, can you have too many good ideas in the garden? This is the time of year, as winter winds down and spring shows signs of arriving, when many of the ideas are almost ready to pick. Picking ideas from the garden sometimes involves making a few phones calls to line up help for the big harvest or convincing your significant other to help. Or you can pick the ideas yourself if you have the time and energy. Some gardeners prune their ideas back. I'm not sure why they do that. I understand it is sometimes necessary, but I think ideas grow best without pruning them or constraining them. Let them grow as they will, I say. After all, ideas are free and don't really cost anything until you actually harvest them. When you do harvest your ideas, some may be bigger than anyone can manage, even with help. You can trim those ideas back a little and still have a good idea to plant in the garden later in the spring. Or if you have too many ideas, share them with other gardeners. They'll appreciate them and may return the favor by sharing good ideas from their gardens with you. There really is an unlimited supply of ideas for the garden. In fact the unlimited supply can be overwhelming and confusing to many gardeners. If you feel overwhelmed or confused by the number of ideas in your garden, consider just setting some of your ideas aside for another time. But be aware that when and if you do set aside ideas from the garden, they can disappear on you. If that happens, you probably didn't need that idea anyway. If you don't like some of the ideas you picked from your garden or don't feel like they are a good fit for your garden, consider an idea swap. The ideas you don't think are right for your garden might be perfect for another gardener's garden. And their ideas might be just what you were seeking for your own garden. Recently I checked on some of the ideas growing in my garden. They've been growing steadily this winter and I'm pretty pleased with most of them. In fact, I think there are some ideas that are almost overripe and need to be picked this year. I'll work on doing that as soon as it warms up a bit. And I promise to share the harvest of ideas from my garden in the days and weeks ahead and hope others will share theirs as well. After all, ideas are one of my favorite winter crops. Ahhh yes, ideas are really the only things thriving in the garden at this moment. Onward! I'm looking forward the garden clinic for some ideas! The problem is that the ideas growing in my garden far out reach the size of my garden. Which ones to suppress? Help! And some ideas are in reality weeds and need to be removed so the garden and gardener can thrive.